The three-day EVE spectacular offers many arts and entertainment options. Perhaps on the opposite end of the party-and-fireworks spectrum is a chance to spend some quiet time with the Little Tramp. 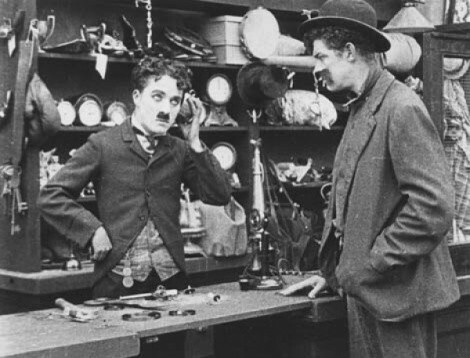 The Broadway Theatre hosts four programs of Charlie Chaplin shorts through Friday, recurring daily. At 3:30 p.m., there’s the terrific trio of The Floorwalker, The Fireman and The Vagabond. The 5:30 p.m. block includes the brilliant One A.M., The Count and The Pawn Shop, while 7:30 p.m. offers Behind the Screen, The Rink and Easy Street and the 9:30 p.m. program (Wednesday and Thursday only) features The Cure, The Immigrant and The Adventurer. Conventional film-history wisdom in recent decades has propped up the likes of Harold Lloyd and Buster Keaton over Chaplin, largely because of his “sentimentality.” Catch some of his career highlights to wind up to the new year, and enter 2011 with a new appreciation for this cinematic genius.